The new core board version of TA100C FMM allows adding of expiration rule to a user. This feature is important for organizations that have many temporary workers or contract workers on site(s). The administrator can set the expiration rules for each worker and the system will stop taking transactions from these staff’s credentials when the expiration rules are met. The expiration rule can be set based on date, entry or both. 1. 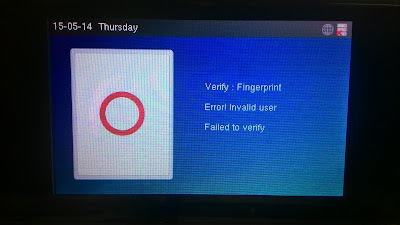 Keep user, no audit future punch - The system will continue to keep the user’s data including the fingerprints and will block future clocking activities from the specific ID. 2. 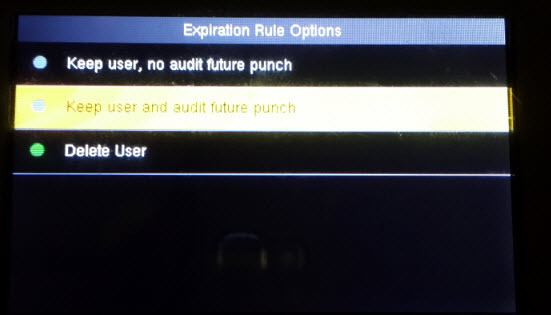 Keep user and audit future punch – The system will continue to keep the user’s data including the fingerprints and as well as the future clocking activities of the specific ID. 3. Delete user – The system will delete the user once the expiration date is reached for that specific ID. 1. None: No expiration rule. 2. Expired date: Select a specific expired date to a user. 3. Entries: Select a number of entries provided to a user before the access expired. 4. 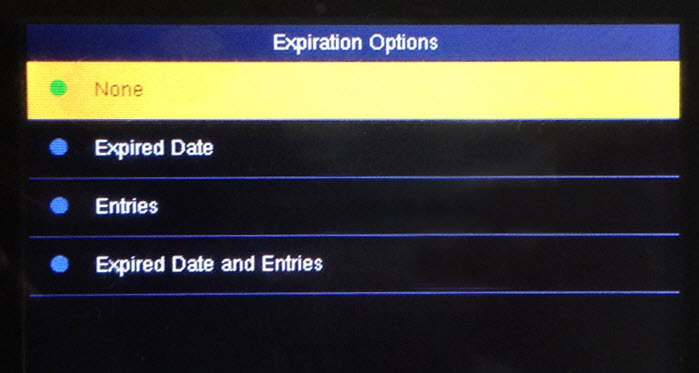 Expired date and entries: Select a range of date and number of entries for a user. 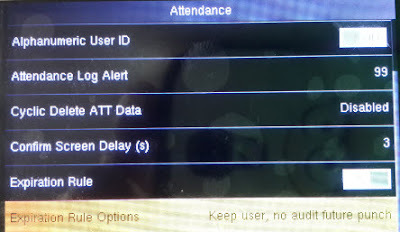 Once the configuration and settings are completed, users will be imposed with expiration rule which will take effect once the rules are met. Use this feature to control and manage your temporary workers, contract workers, contractors, etc. is that feature available for AC100C FMM board also or not?? Yes, AC100C also support for "Adding Expiration Rule"
If there is any other information required, Please email to support@fingertec.com , So we can assist you accordingly.